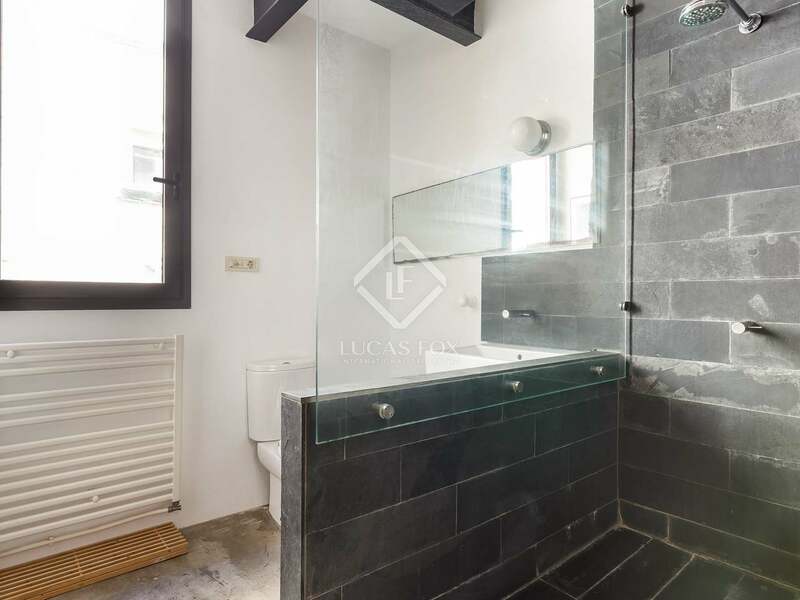 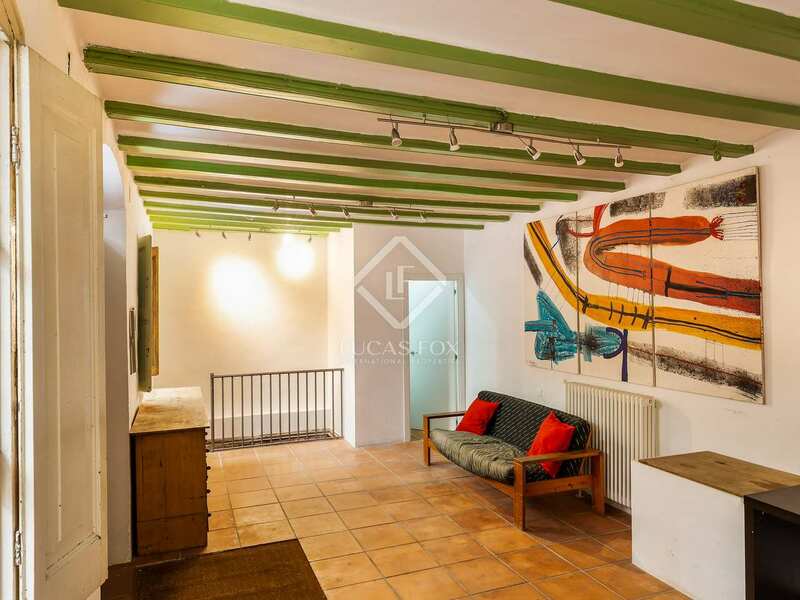 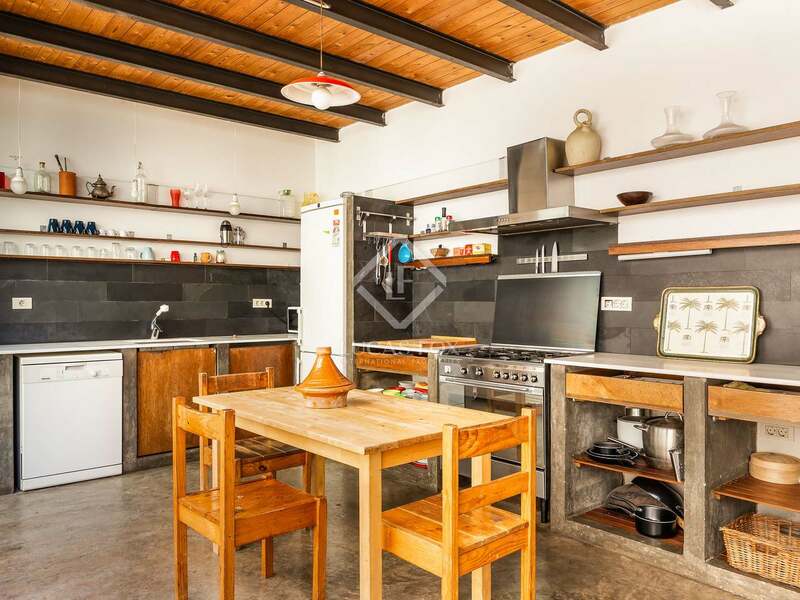 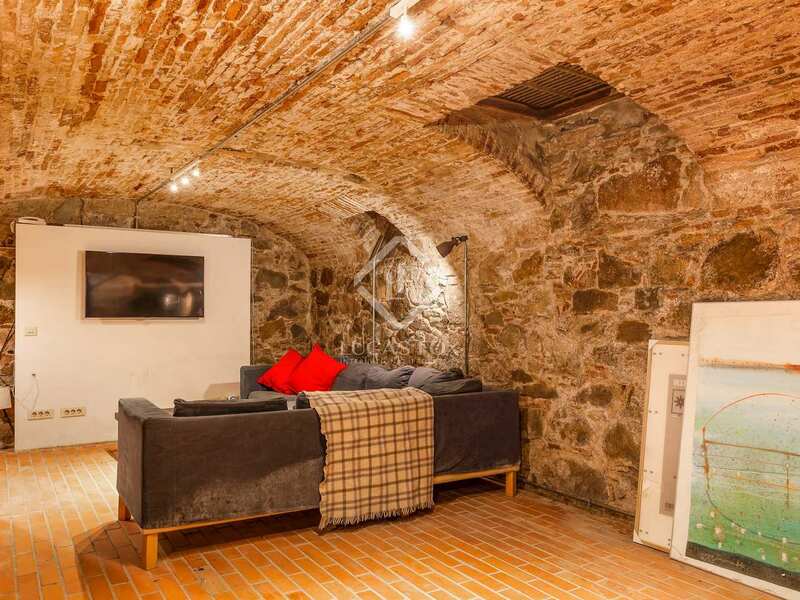 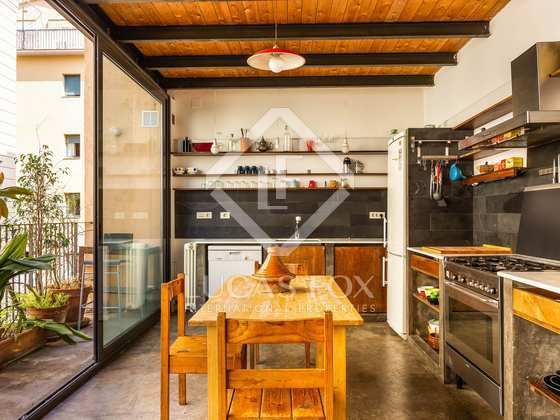 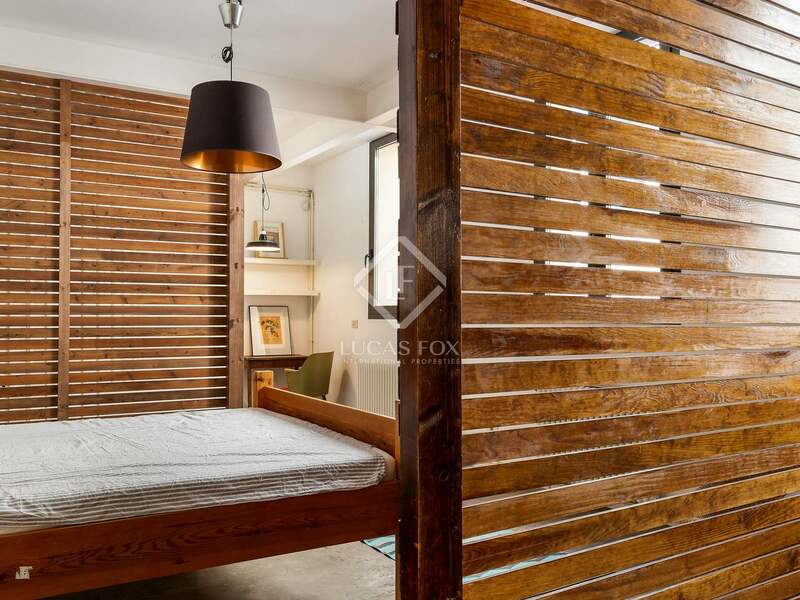 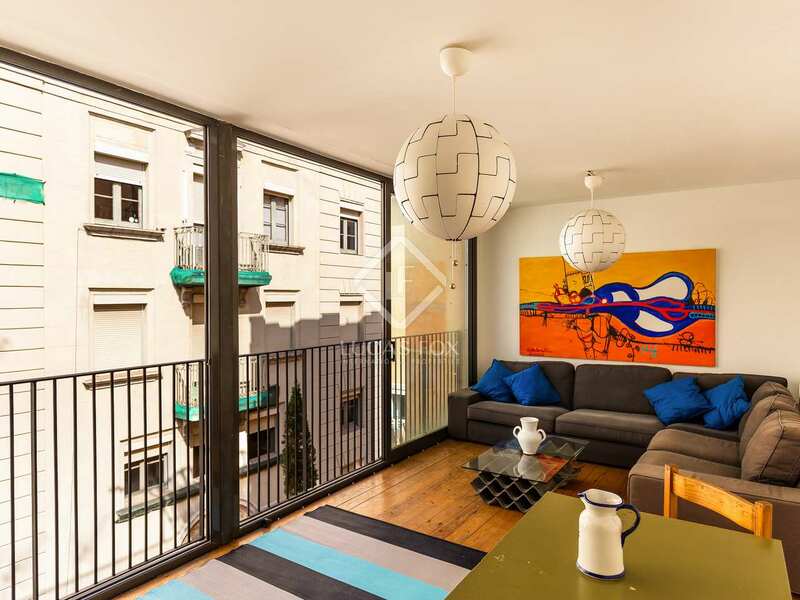 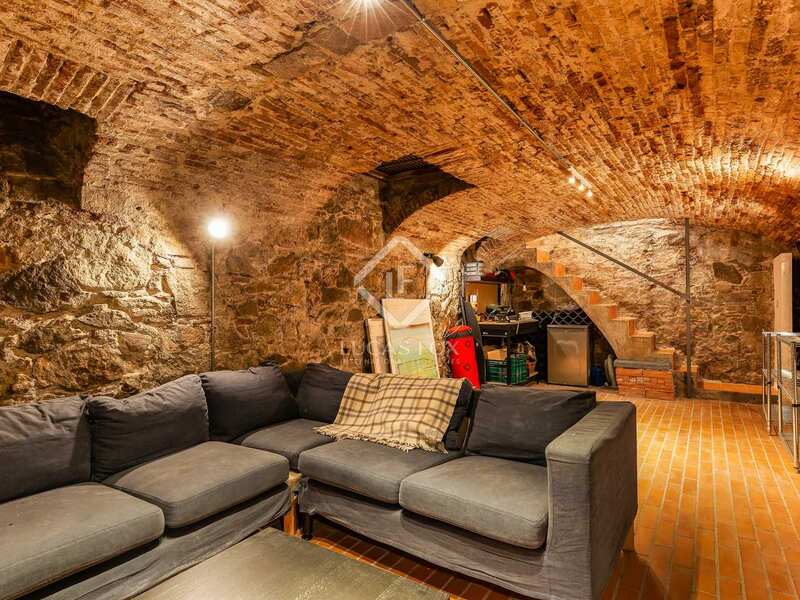 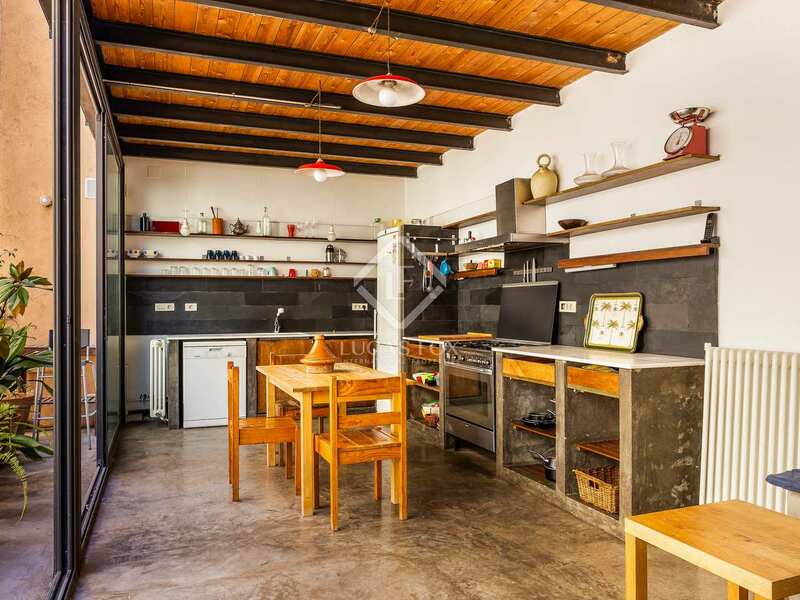 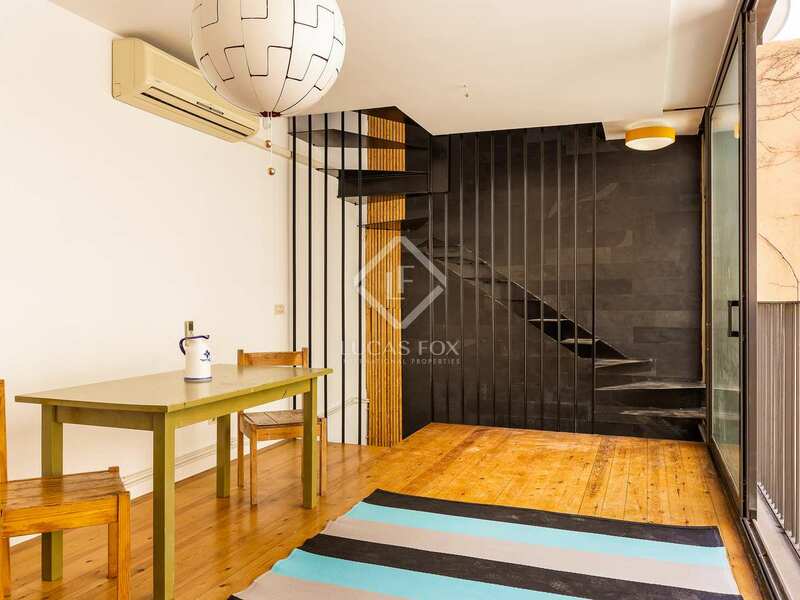 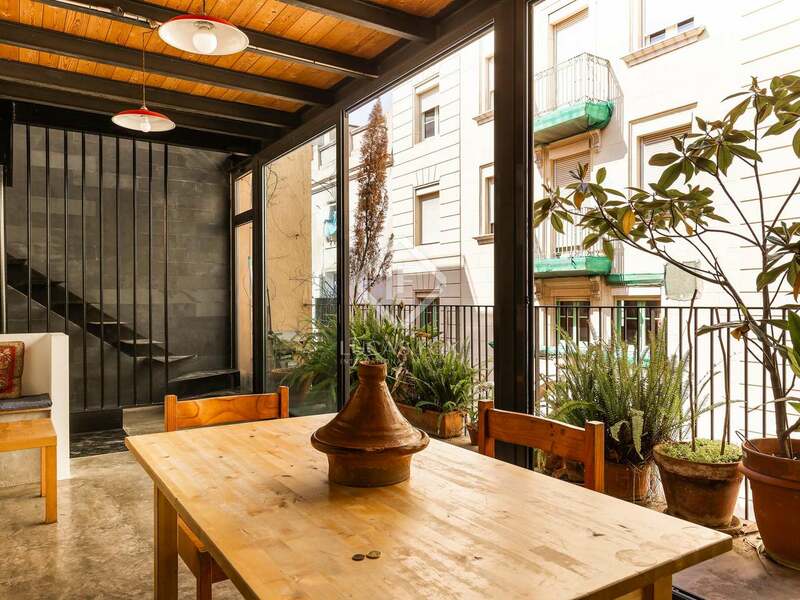 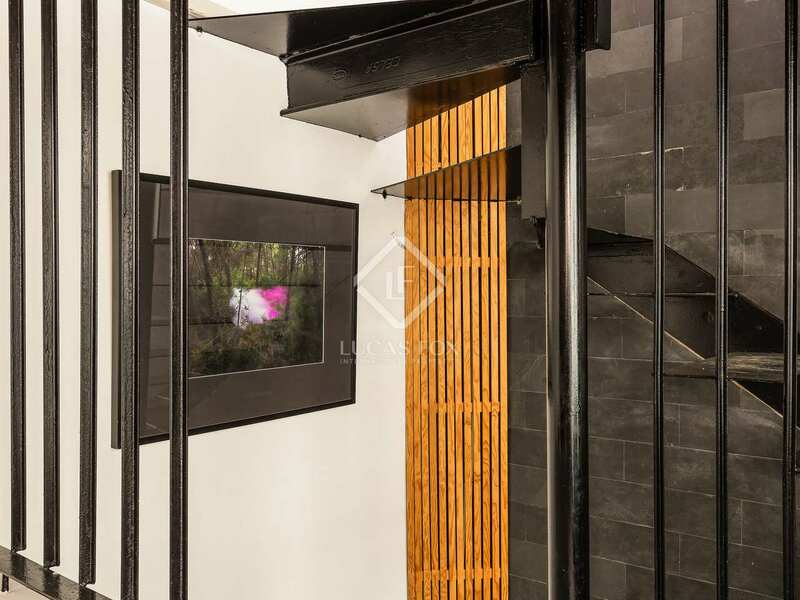 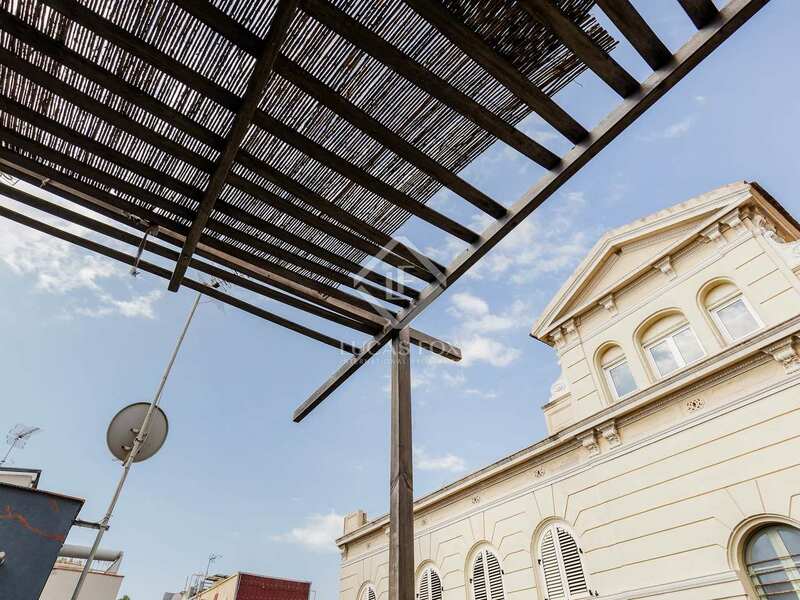 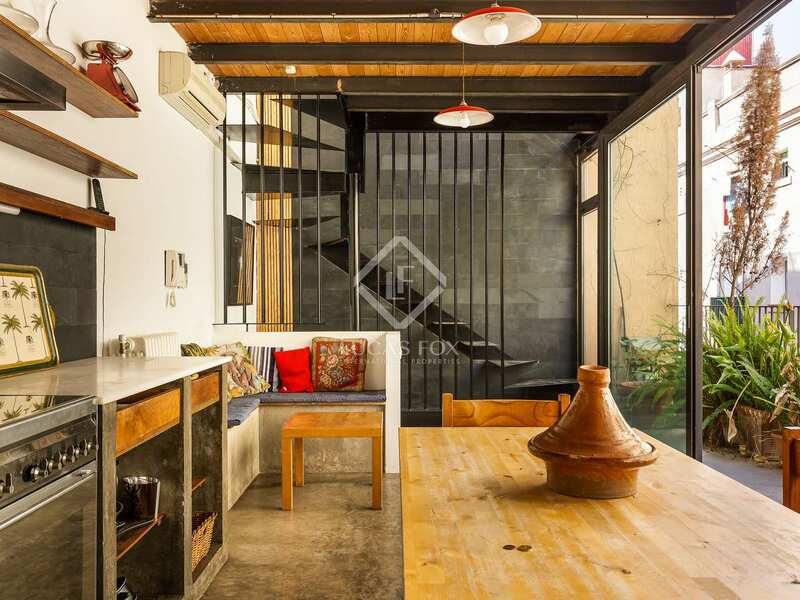 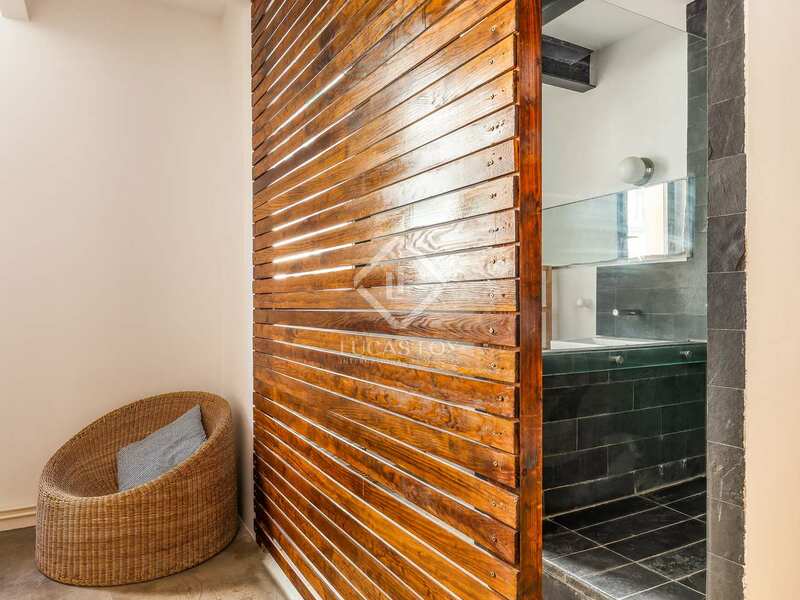 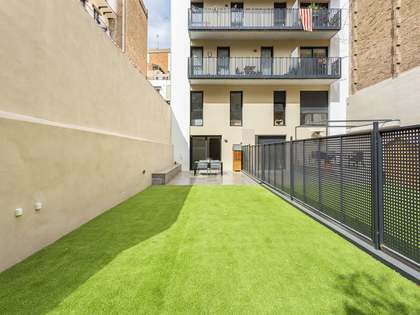 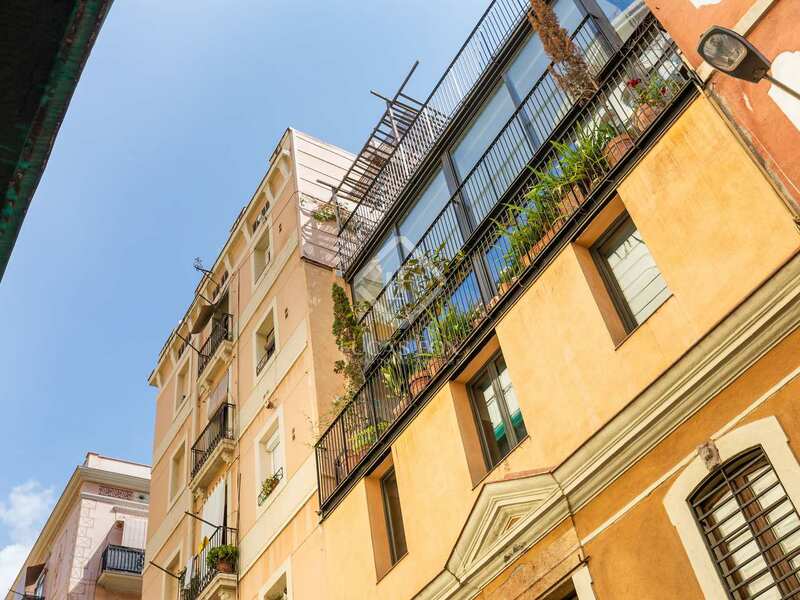 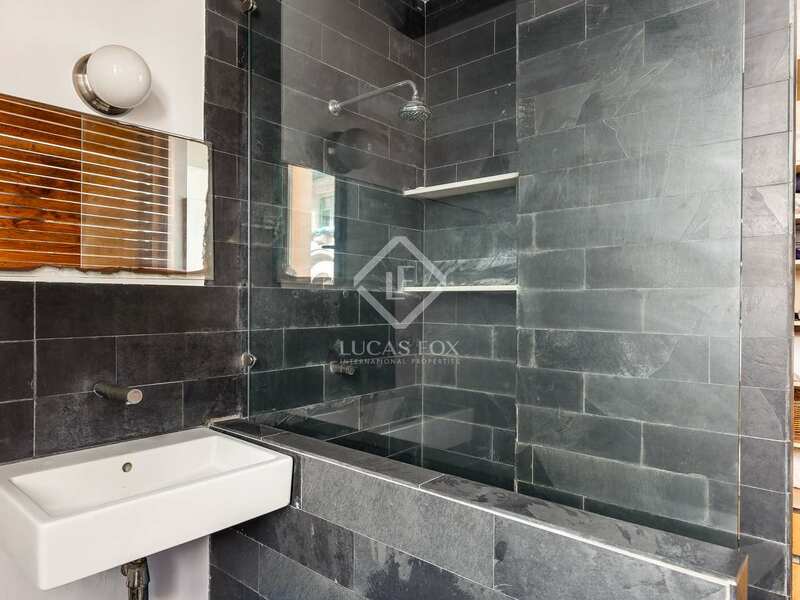 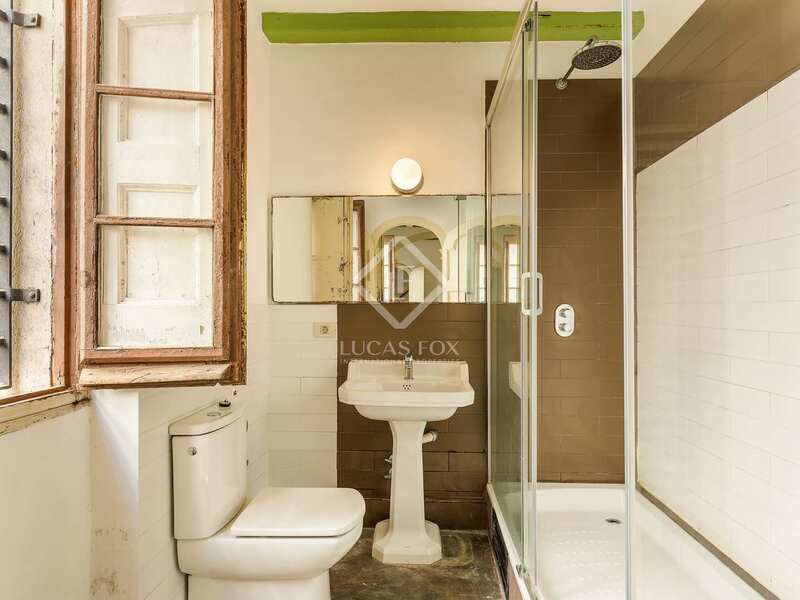 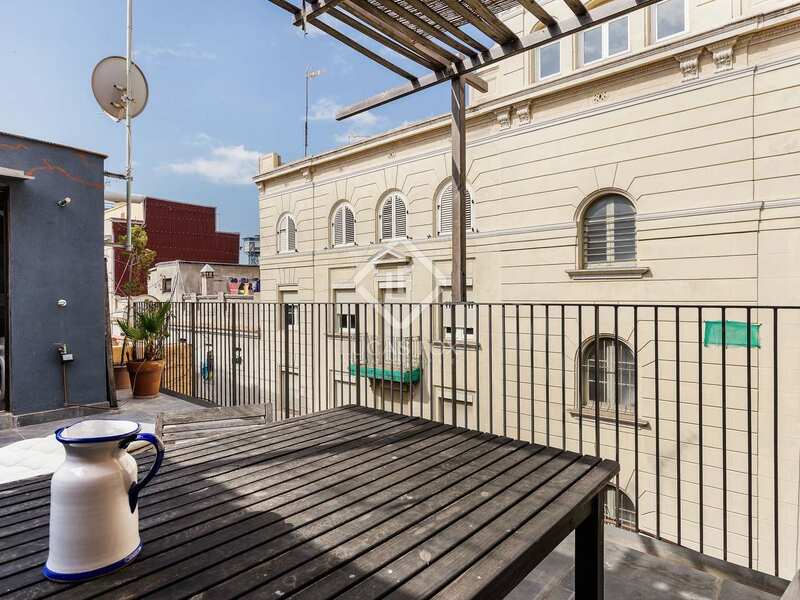 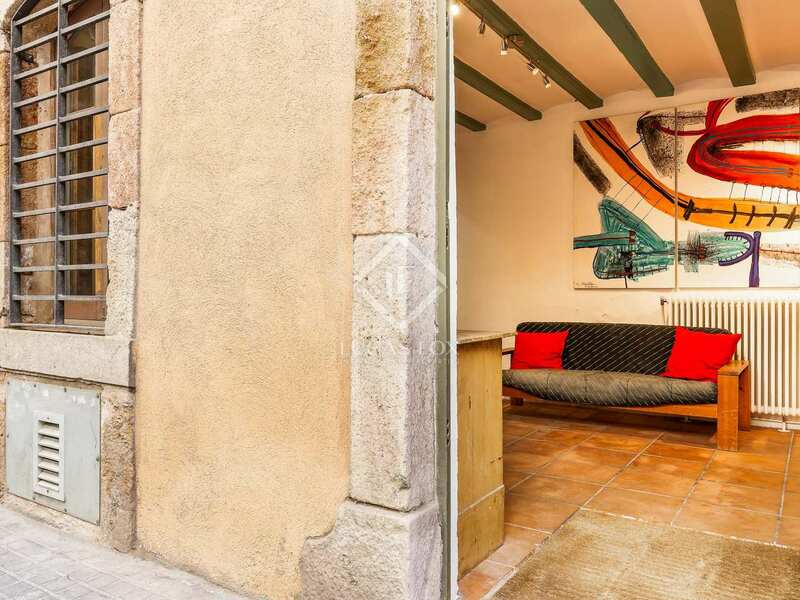 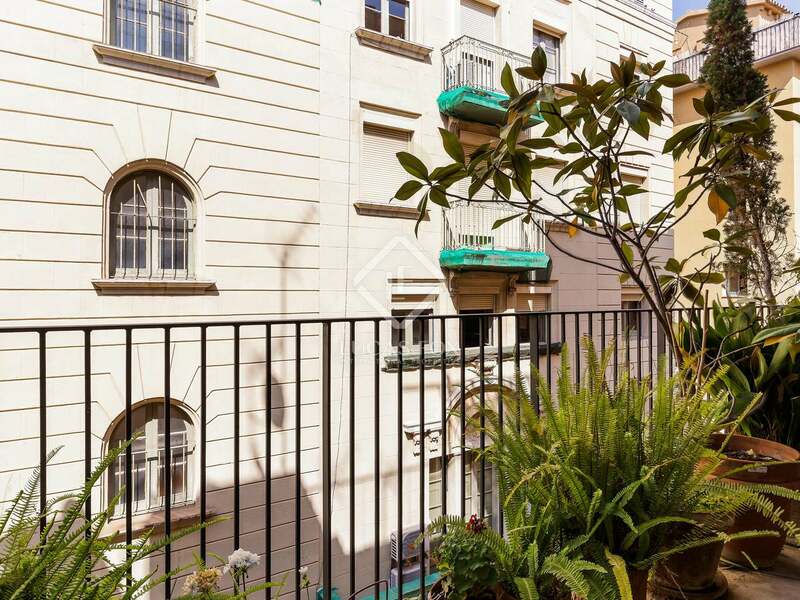 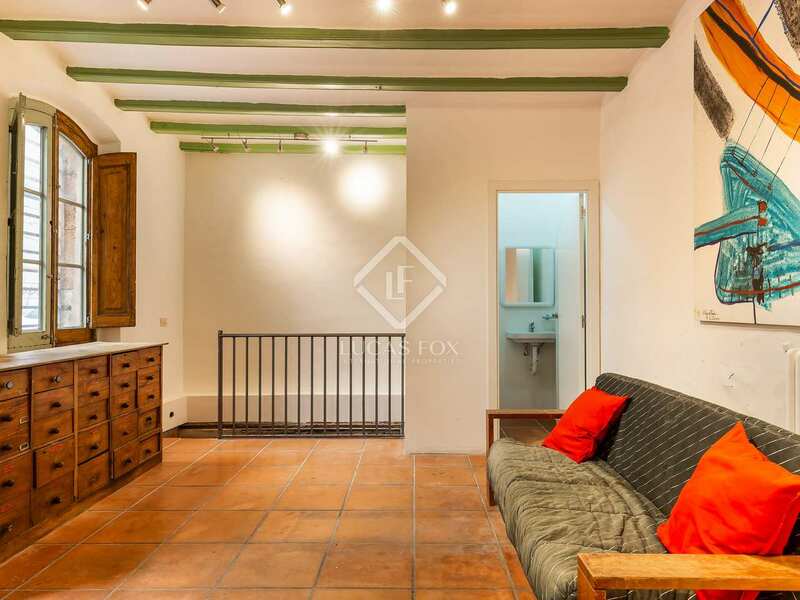 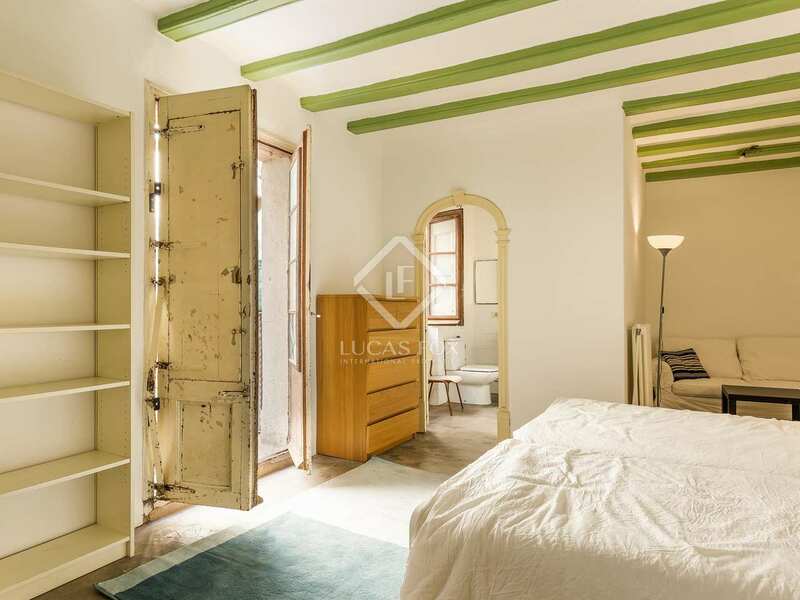 In a superb location in Barceloneta, close to the beach, metro, buses and the beautiful Gothic Quarter, we find this very special property for sale. 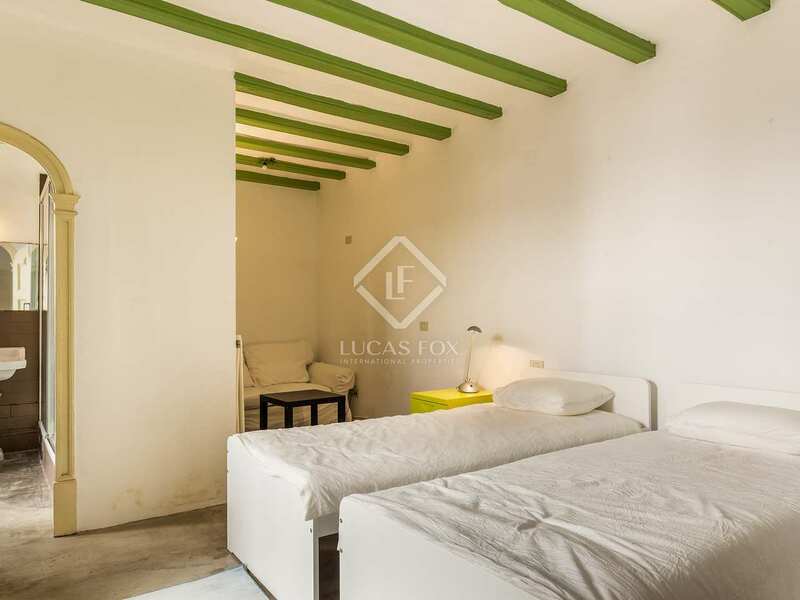 Formerly a fisherman's house, the property has been fully renovated in a unique style, adding 3 extra levels to the home and creating several bright, airy spaces. 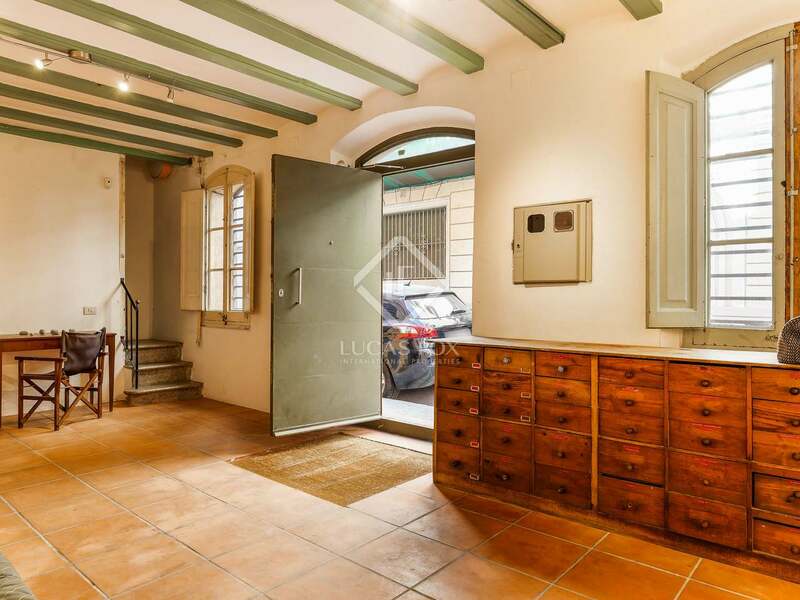 On the ground floor a large entrance space welcomes us and we immediately see the historic charm of the property with its wooden beamed ceilings and clay floor tiles. 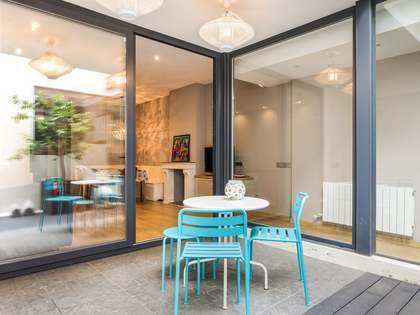 This entrance area is ideal for storing bikes etc but is large enough to use as a reception room or a bedroom for example. 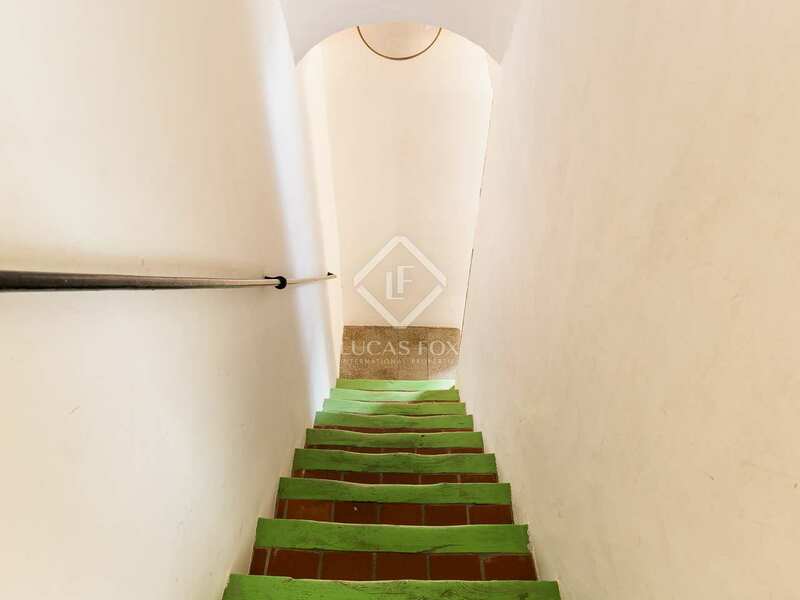 A staircase leads us from this entrance space down to the basement with its stone walls and attractive arched ceilings. 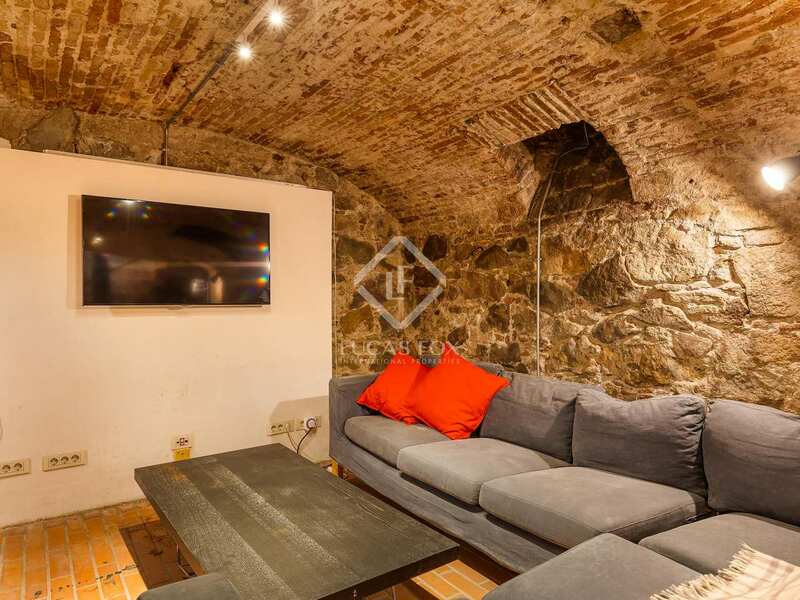 This area is currently used as a home cinema and games area and stays wonderfully cool in the summer months. 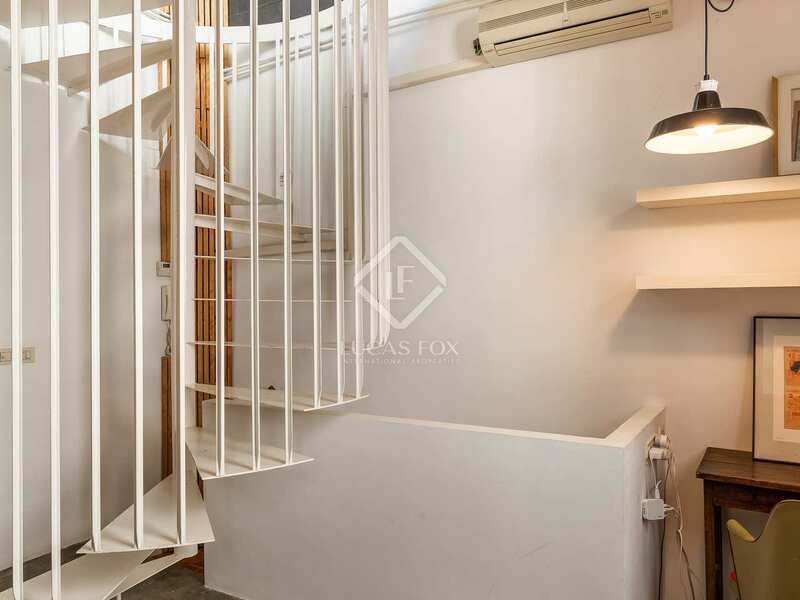 Returning to the entrance area we find another staircase up to the first floor where we find a large bedroom with a private bathroom and a guest toilet. 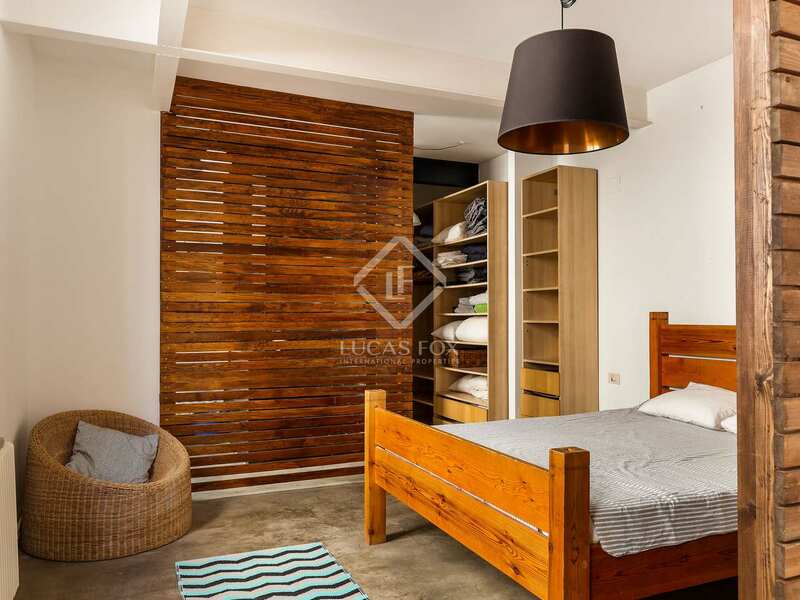 The second floor surprises us with a bright, modern master bedroom with an office area and an ensuite bathroom and a guest bedroom. The third floor is reached via an attractive spiral staircase and offers a very spacious kitchen with fantastic large windows and a balcony. 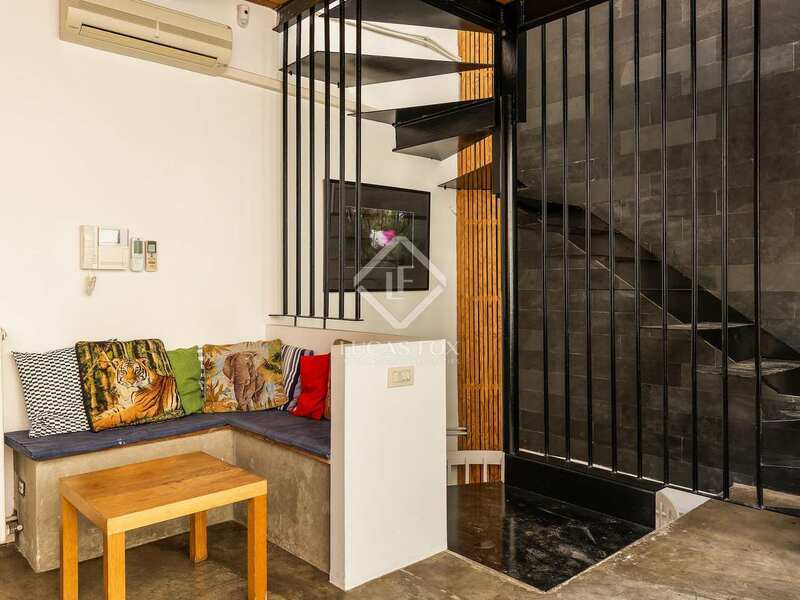 This is a very unique space where you can enjoy pleasant family meals. 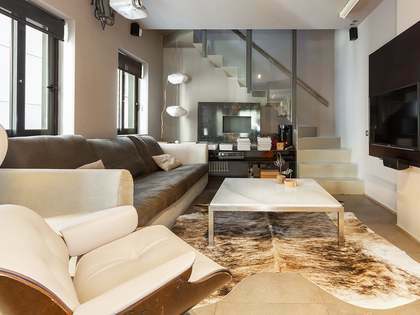 The comfortable living room is located on the fourth floor and also enjoys plenty of natural light. 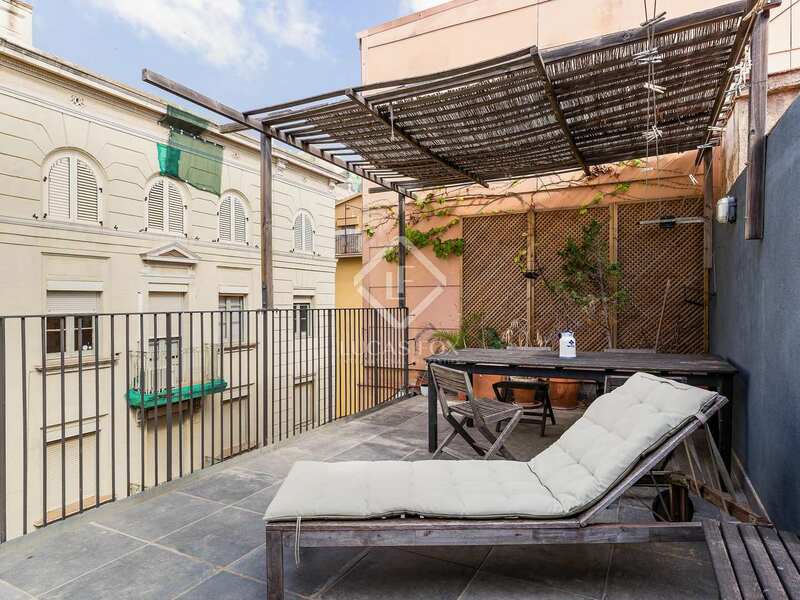 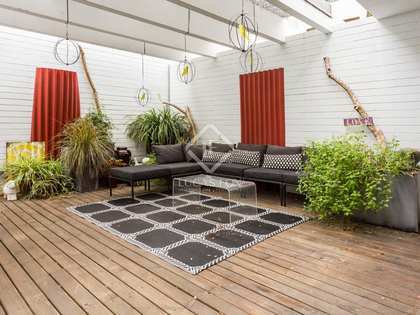 One of the highlights of this house is the great private terrace on the top floor where you can enjoy a barbecue and use the outdoor shower on hot days. 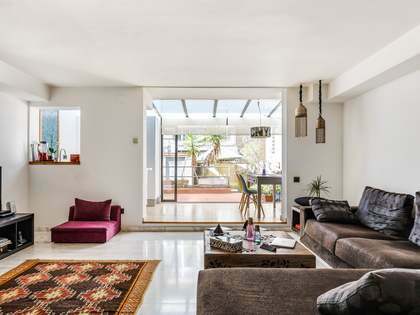 A utility room and lounge area completes this final level of the house. 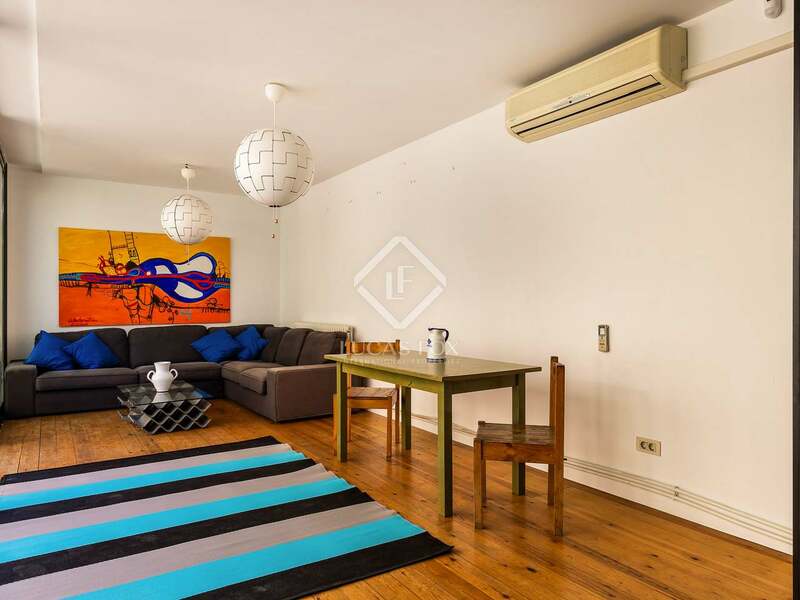 The property benefits from air conditioning and an alarm system. 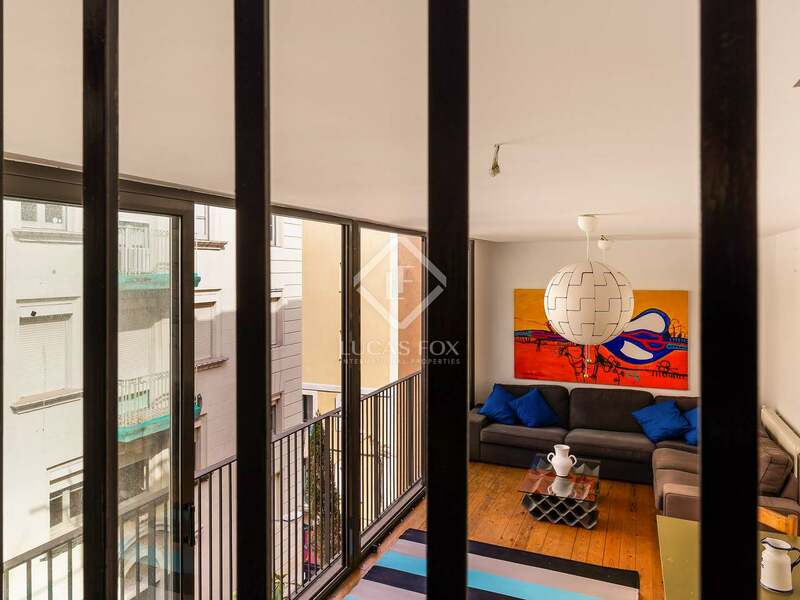 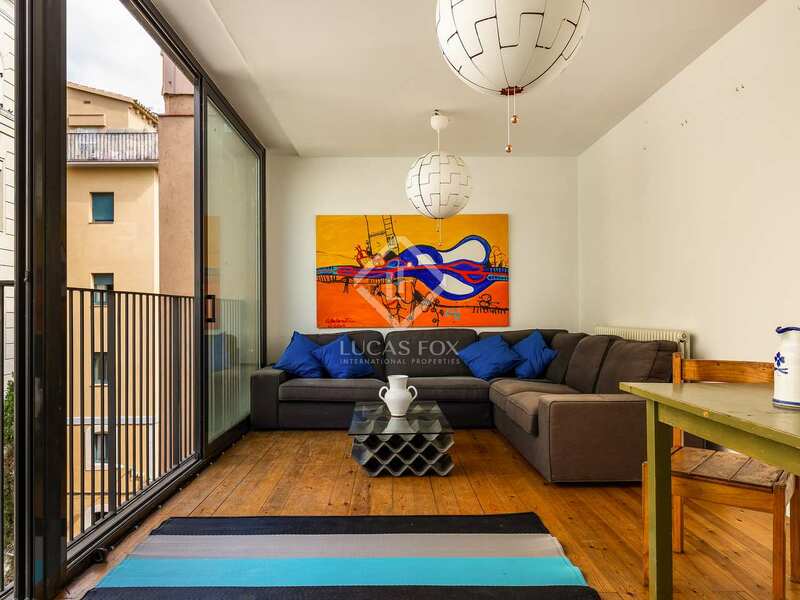 Contact us today to arrange a viewing of this unique property for sale in Barceloneta. 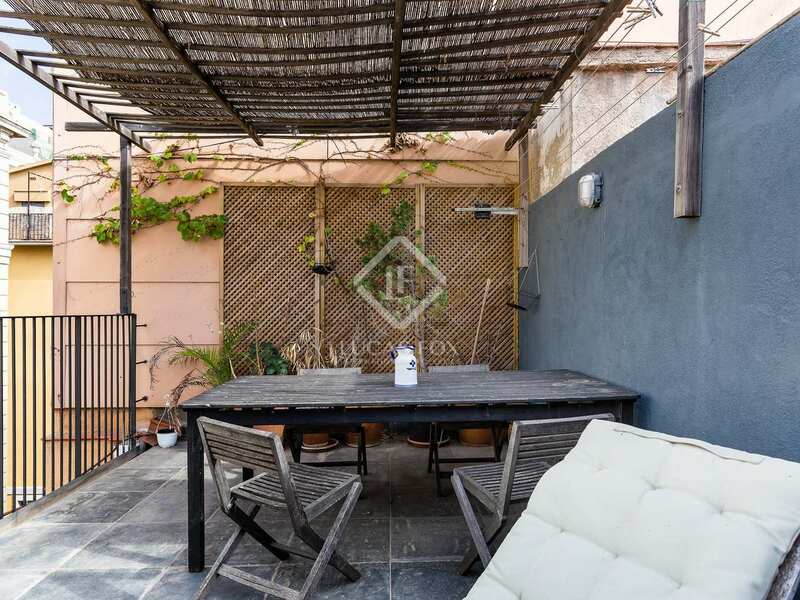 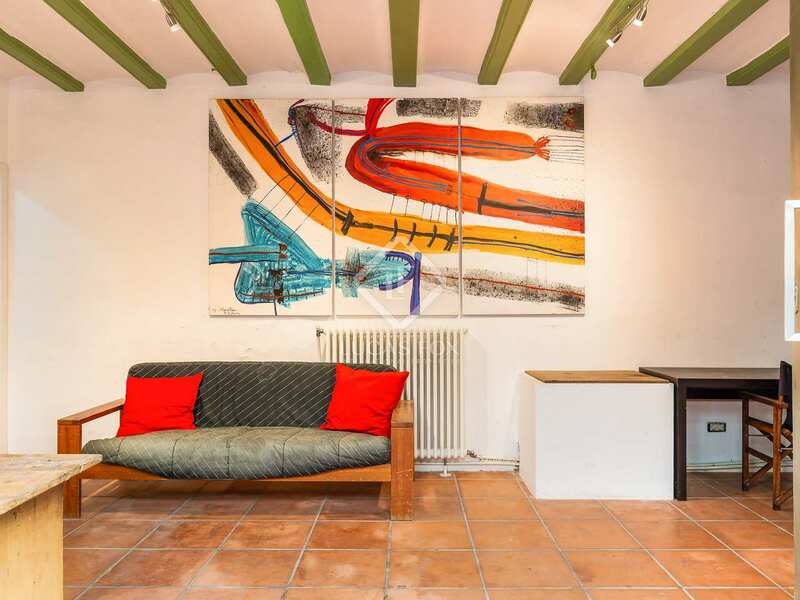 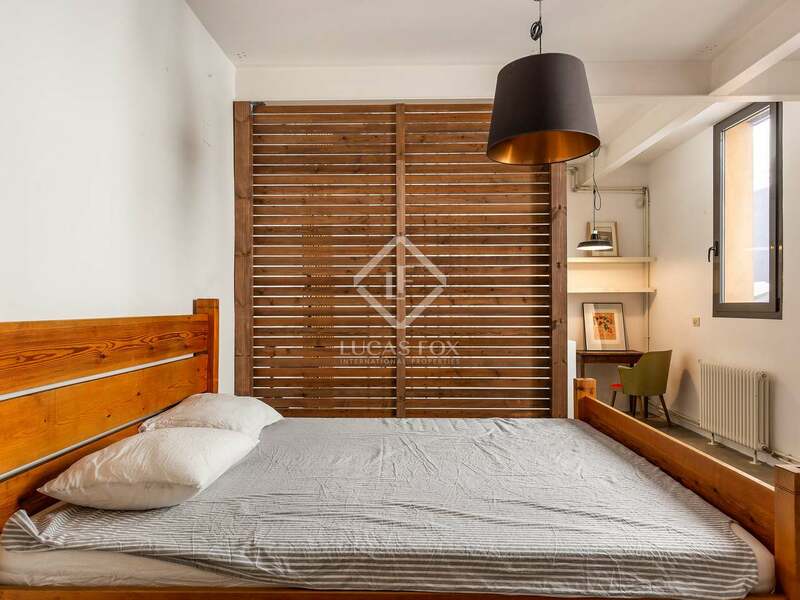 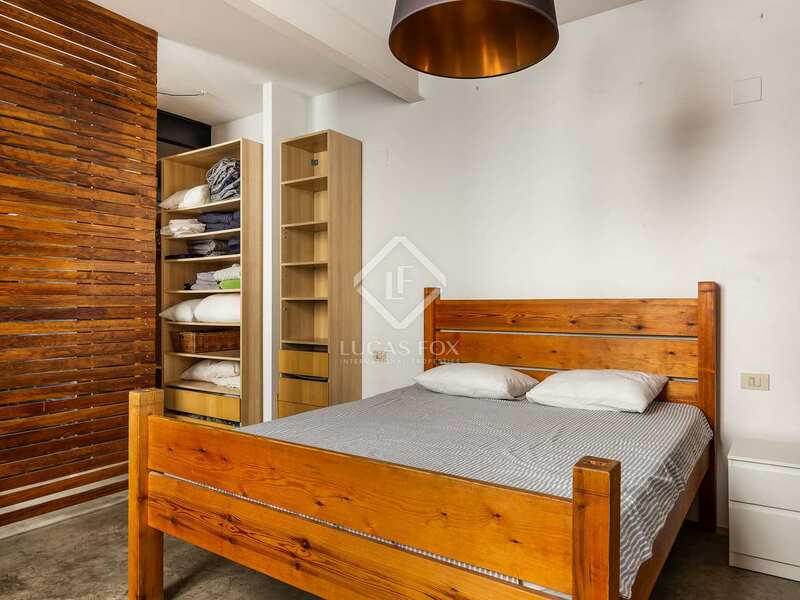 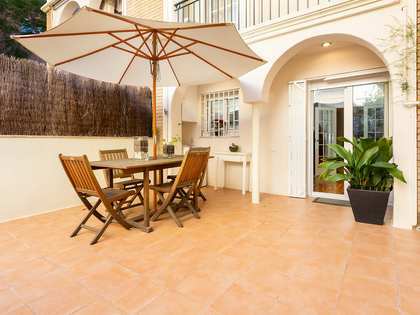 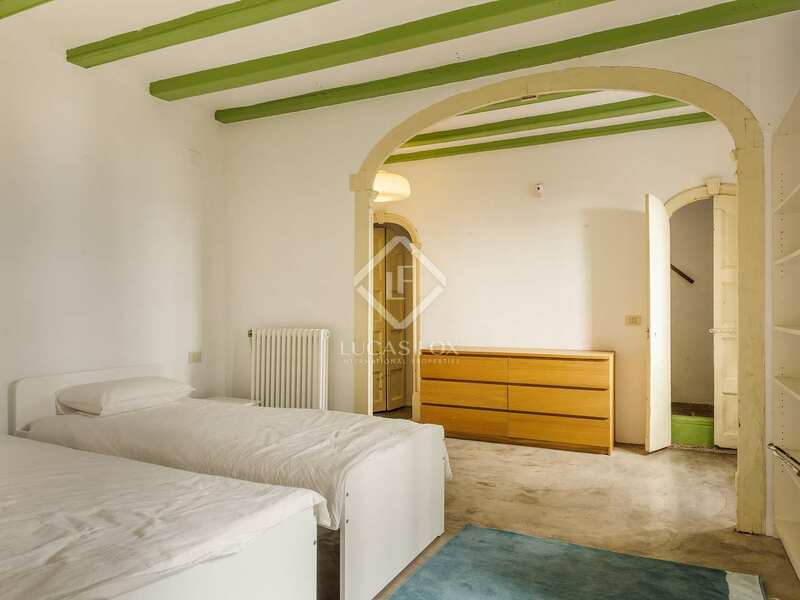 The house is located just a few metres on foot from Barceloneta Beach and a few minutes from the historic Gothic Quarter of Barcelona Old Town.